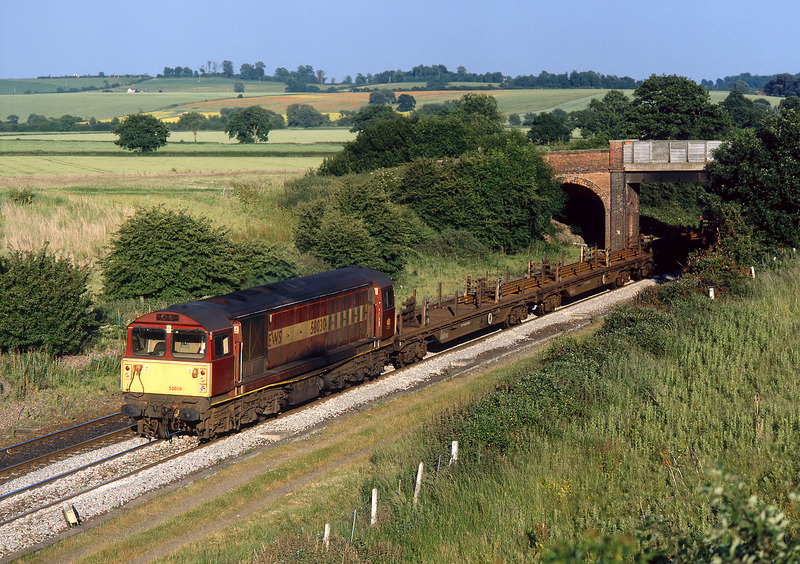 58030 passes Overthorpe on 16 June 1999 with the 7M28 19:00 Hinksey to Bescot engineer's train. The bridge in the background formerly gave access to a farm, which was demolished many years ago. The bridge now forms part of the Jurassic Way long distance footpath.